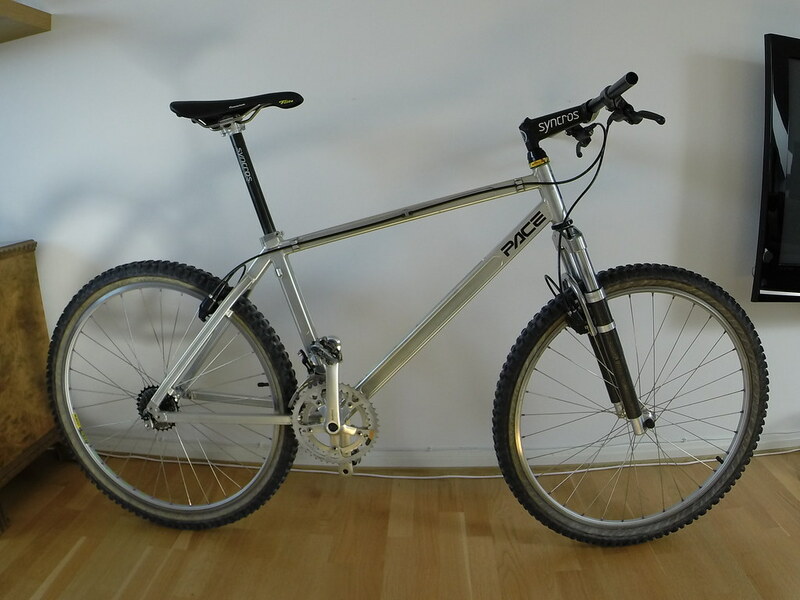 My project for the winter, an English east coast bike. 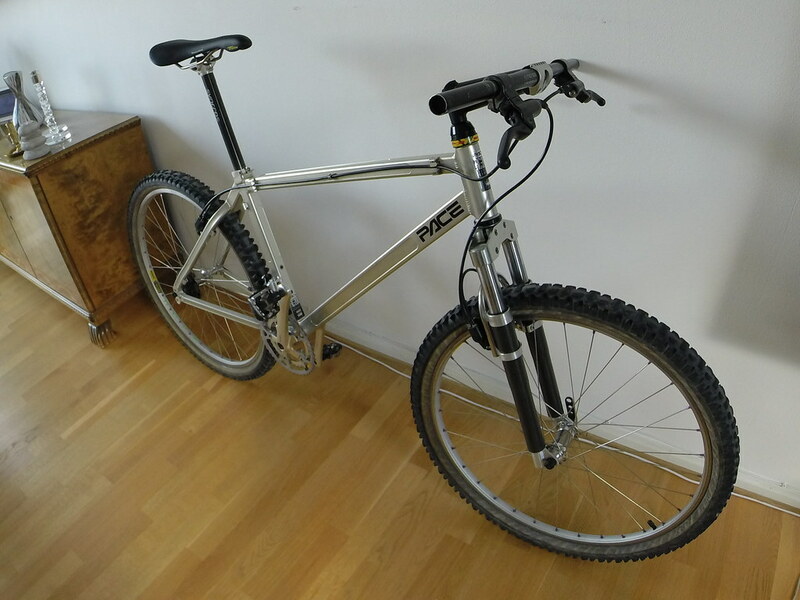 For those that don't know, Pace were hand built in Yorkshire, from externally butted 7000 series aluminium frames. 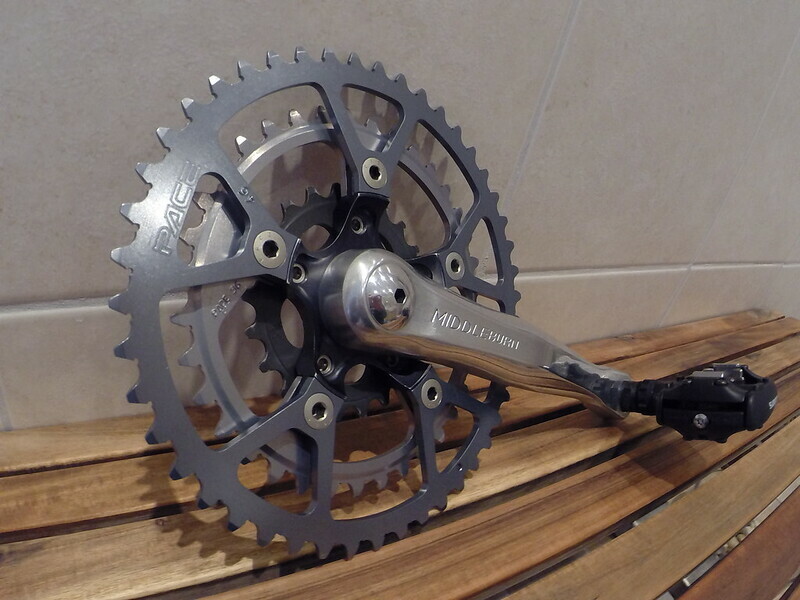 Mocked up in the pics with what I have lying around, and the Hope hubbed wheels from my Yo Eddy. 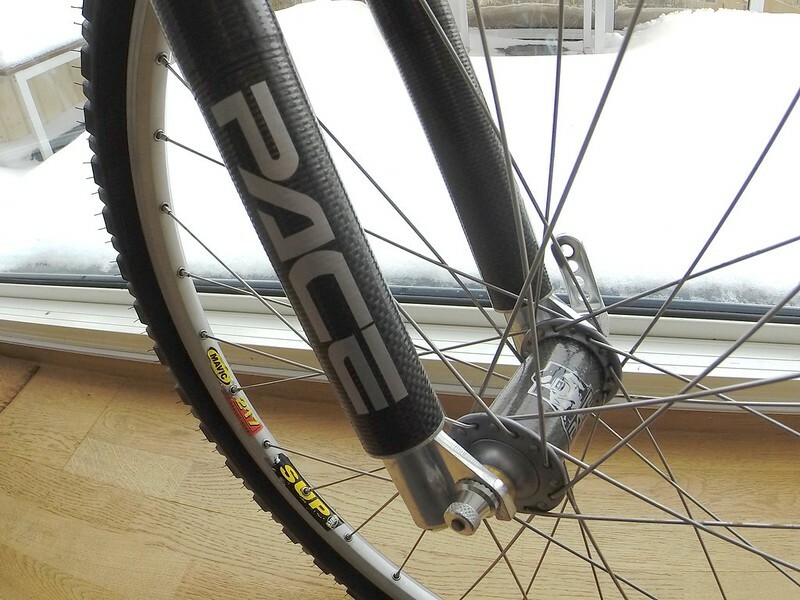 Pace was a dream bike when I was young, just like the Yo. 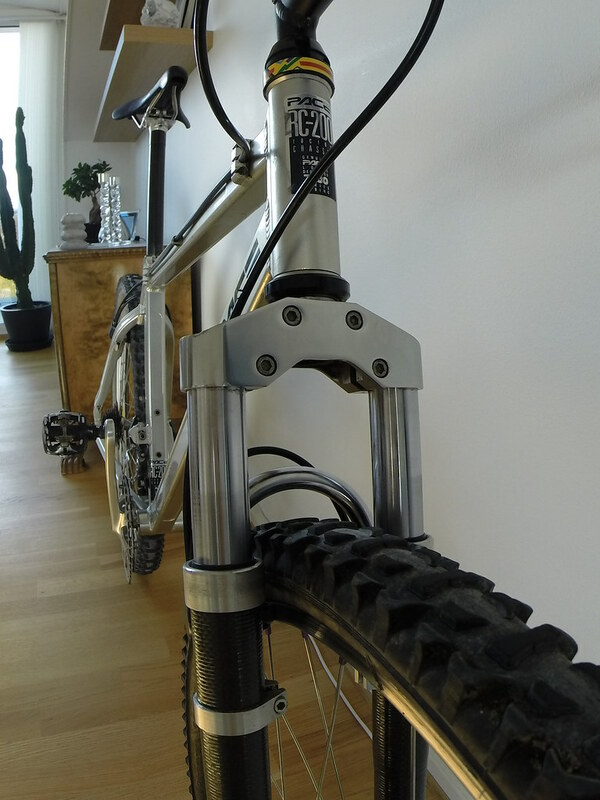 Is there a benefit to having the brake studs mounted on the rear of the fork?